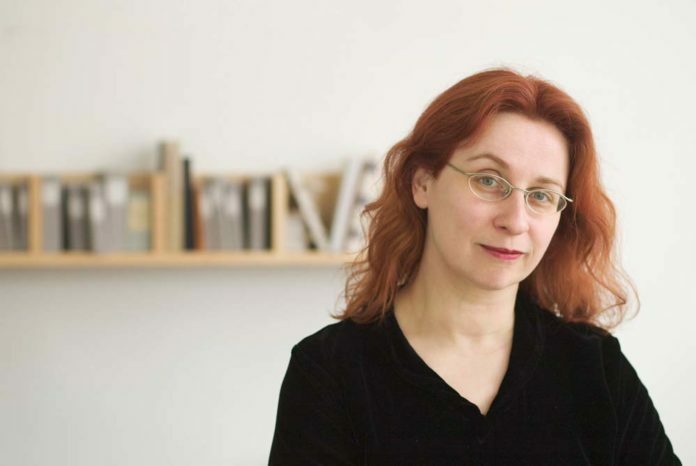 I was lucky enough to be in the audience of Audrey Niffenegger’s talk on Monday 27th May. Here, she talked openly to the audience about her most recent book, Raven Girl, some of her previous novels, as well as her art. In her new book, Raven Girl, Audrey is able to marry two of her passions together- her art and her writing. Although she has never faltered from one, it is clear that being able to combine them is greatly pleasing for her. The book itself was written for Wayne McGregor CBE dance choreographer, who asked her to write something he can do a ballet on. She admitted that although she doesn’t know too much about ballet itself, she knew that birds are an important part in ballet, thus Raven Girl was born. Audrey not only discussed her novels, Her Fearful Symmetry and The Time Travelers Wife, but she also talked about her art, some of which you can find in Raven Girl. I was unaware of Audrey’s strong ties with art until this point- she is trained as a visual artist- so it was a pleasure to hear about her techniques and inspiration. Audrey also had a few thoughts on the digital revolution, being very positive towards it. She commented that the ‘vessel’ should be invisible, and therefore it does not matter about which way it is read, whether it is on a kindle or in the physical form. More people are reading because of it, and that’s all that really matters in the end. The London Literature Festival runs until the 5th June.